Tonight's review is a beer that I've been wanting to try for years! 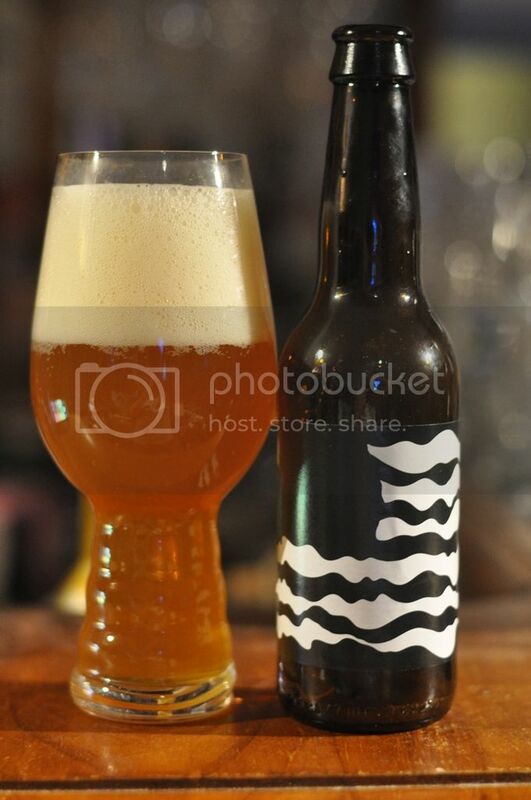 It's brewed by Omnipollo from Sweden and is consistently ranked as one of the worlds best Imperial IPA's. 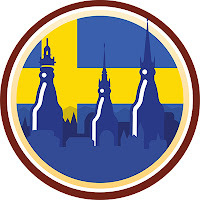 It also (conveniently) earned the Swedish Brews badge on Untappd - funnily enough for drinking Swedish beers. Omnipollo's Nebuchadnezzar is named after a historical King of Babylon; Nebuchadnezzar II, who reigned from around 605-562 BC. The name, I believe, is in reference to the beers commercial description which states that it's a "homebrew recipe that has been scaled up with no consideration to economies of scale." Nebuchadnezzar is not only widely credited with the building of the Hanging Gardens of Babylon, but also lost his mind for years and lived as a recluse in the wild before regaining his throne. First things first, the colour of this beer is lovely. Nebuchadnezzar pours a hazy orange colour with a cream head a bit bigger than 3 fingers high. It's a little hazier than I prefer my Imperial IPA's to look, but I'm always able to look passed appearance if the beer tastes great. From what I've heard this will taste more than good enough for me to look passed this minor personal preference of mine. Onto the nose and it was quite incredible! The hops are very aromatic, with tropical fruit (mango and pineapple), citrus (grapefruit and lemon) and pine all very prominent. At 8.5% you'd expect some malt aromas and, while definitely in the background, there is a bit of caramel. The taste followed on from the nose with many of the same elements represented. It starts off with plenty of citrus up front, with grapefruit followed by lemon zest. Fruitiness follows next with some mango, passionfruit and pineapple all easily recognizable. The caramel malts provide moderate sweetness, whilst balancing the bitterness from the hops. Nebuchadnezzar from Omnipollo lived up to the insanity of the Babylonian King it was named after. The sheer amount of hops in this beer should mean it's not commercially viable - but the resulting beer is just so good that it works! The finish is perfectly dry and just makes you want more, which at 8.5% doesn't seem like a great idea... Omnipollo's stuff is becoming more readily available in Australia so keep your eyes peeled, I've had 4 of them so far and been impressed with all of them.